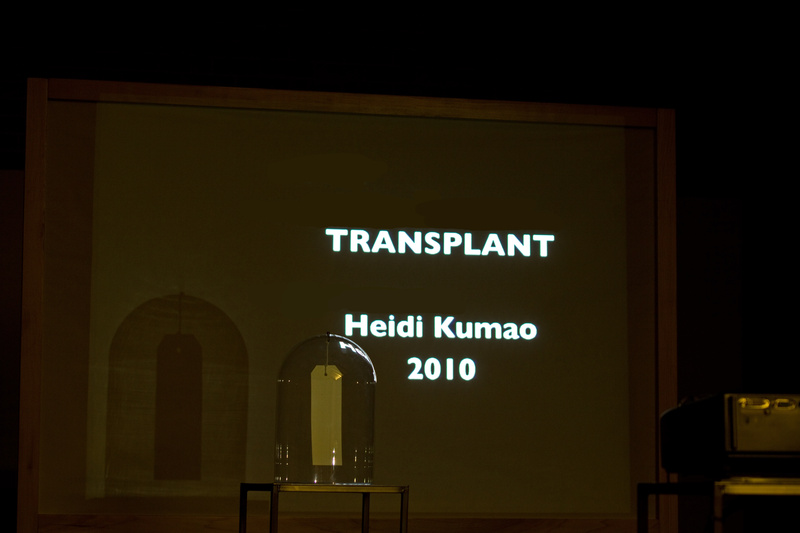 Heidi Kumao is an artist from Ann Arbor who submitted an extraordinary short film, “Transplant,” to the ArtPrize 2010 competition in Grand Rapids, Michigan. In the public voting, the work did not receive the recognition I feel it deserved. 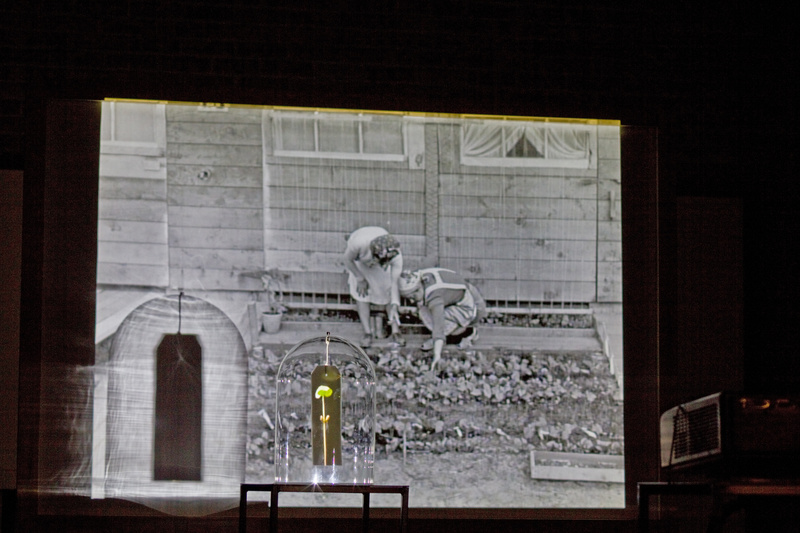 I hope that in the remaining four days of ArtPrize people will stop by Fountain Street Church (24 Fountain Street, NE) and view the film. 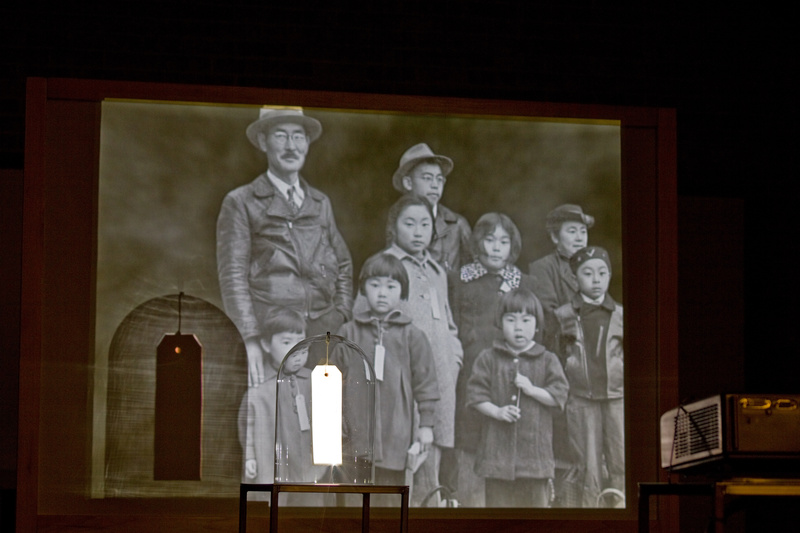 “Transplant” is a 4-minute movie that tells the story of the Japanese families who were sent to internment camps by our government during World War II. The movie shows the indominable human spirit, as the Japanese families, forced to live in the desert, created gardens for nourishment of the body and the soul. The story itself is special, but the technique is what makes the movie extraordinary. 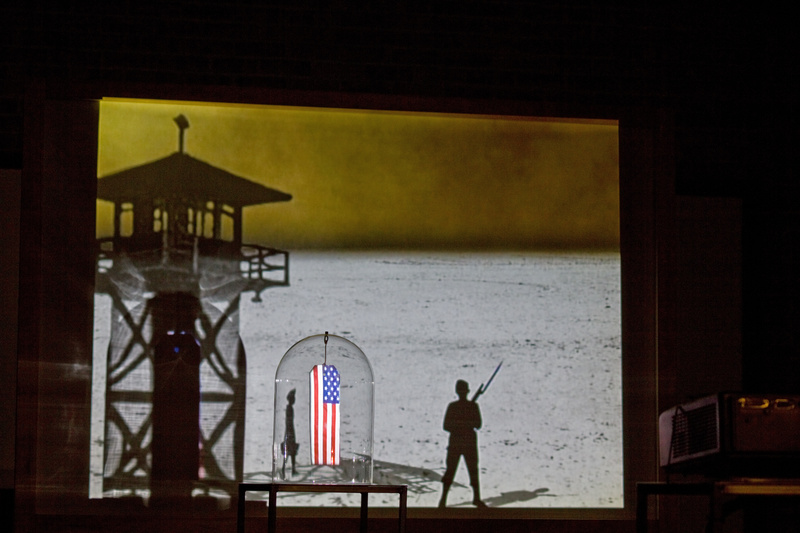 Ms. Kumao uses black and white photos she got from the Library of Congress and adds her own characters in silhouette that bring the movie to life. In front of the screen is a bell jar, in which there hangs a tag like one would put on property in storage. Throughout the movie, the tag is illuminated with images in color that emphasize the story. It is an incredible effect. Here are a few still photos I took of the movie. If you read this before ArtPrize ends, I encourage you to visit Fountain Street Church and see the movie in person.